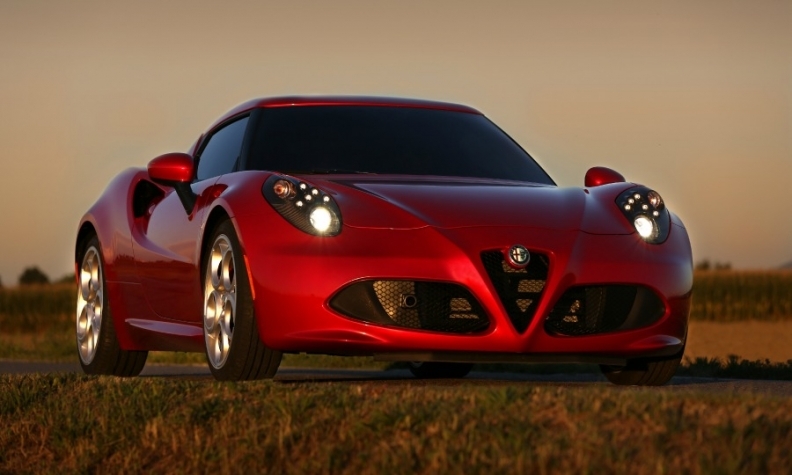 The Alfa 4C coupe (shown) will be joined by new rwd models to boost the flagging brand. FRANKFURT/MILAN (Reuters) -- Fiat Chrysler Automobiles will unveil seven new Alfa Romeo models and push to increase sales of the sports car brand fivefold, a report said. Alfa plans to release a convertible Spider by 2016, followed by the sedan and wagon versions of the Giulia and Alfetta models in 2017 and 2018, respectively, Germany's AutoBild magazine reported Friday. The Giulia sedan will compete with the BMW 3 series, while the Alfetta sedan would rival the BMW 5 series. The pipeline also includes two SUV-styled crossovers, a compact version and a larger one, which will come to market in 2017 and 2018, respectively, the magazine said. Alfa is developing a new rear-wheel- and all-wheel-drive architecture for its new models, Automotive News Europe reported in December. The architecture is code-named Giorgio, according to ANE sources. The MiTo and Giulietta hatchbacks, which have front-wheel drive, will not get replacements as previously anticipated, AutoBild said. The relaunch of the 104-year-old Alfa Romeo brand, along with luxury Maseratis, is a key part of the group's plans to return to profit in Europe by 2016. Both Alfas and Maseratis will be produced in Italy, Fiat has said. Fiat aims for Alfa sales of at least 500,000 vehicles a year compared with about 100,000 sold last year, AutoBild said. It did not mention a timeframe. Fiat declined to comment. It is due to unveil a new industrial plan, outlining investments and new models the group will pursue over the next three years, on May 6. CEO Sergio Marchionne is betting on the sporty Alfa brand because he believes it can deliver the global profile that his mass-market Fiat brand cannot and far greater sales volumes than top-end Maseratis, but the strategy has so far been met with skepticism. Fiat acquired the Alfa brand in 1986, but has since failed to reinvigorate it despite repeated attempts. Ambitious plans to boost sales to half a million by 2014 have been gradually scaled back, partly because the auto market in Europe was hit by a six-year long slump in sales, leaving Alfa with a weak reputation for quality and just three models.